16 October 2015 – Slapshock, Queso and Greyhoundz at Rocktoberfest at Dubai Autodrome. Thank you Sir Kim and Rocktoberfest! 16 October 2015 – Tsinelas and Goddamn Electric at Rocktoberfest at Dubai Autodrome, opening for Slapshock, Queso & Greyhoundz. Gloc-9 | Rivermaya | Kamikazee Live in Dubai 2014! 07 November 2014 – Gloc-9, Rivermaya and Kamikazee at Dubai Tennis Stadium. Thanks to Alan & Spicy Lemon! 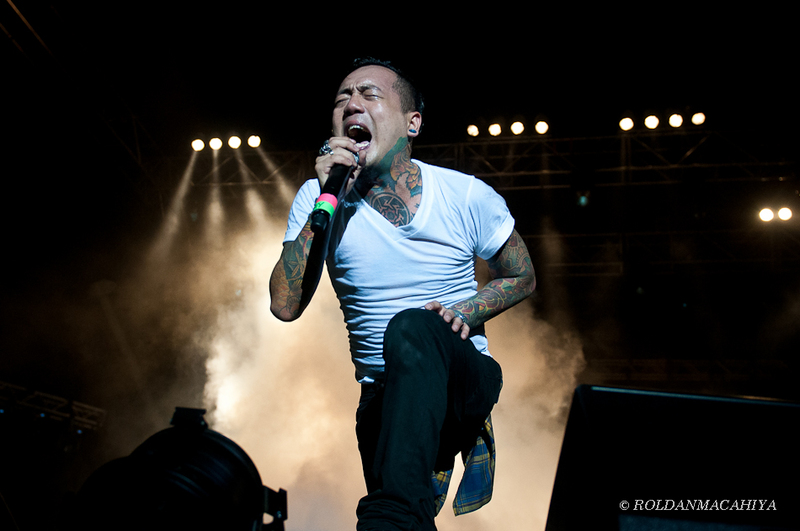 08-Nov-2013 – Goddamn Electric at Xtreme Fiestamatic event at Creek Park Dubai Amphitheater, opening for Rico Blanco. Here are some photos of UAE based artists from day 1 and 3 of Gulf Bike Week 2013, including the photo sets of The Maplejacks, The Boxtones, Jay Wud, Juliana Down and Sandwash! 11 October 2013 – Bamboo at Dubai World Trade Centre. Thank you Alan and Pace Events! More of concert and press conference photos after the jump! 11 October 2013 – Rivermaya at Dubai World Trade Centre. Their first concert in UAE, shared the bill with ex-Rivermaya vocalist Bamboo. 16 November 2012 – Wolfgang at Oud Metha, Dubai, UAE. 16 November 2012 – Slapshock at Oud Metha, Dubai, UAE. Hi I'm Roldan Macahiya, and loves to shoot concert! For inquires send me an e-mail at rmacahiyaphotos@gmail.com. All content © 2014 by Roldan Macahiya. All images are for internet purposes only.